There are some claims on anti-death penalty sites that death penalty (in USA) costs are significantly more then costs of long-time imprisonment. The death penalty is much more expensive than life without parole because the Constitution requires a long and complex judicial process for capital cases. This process is needed in order to ensure that innocent men and woman are not executed for crimes they did not commit, and even with these protections the risk of executing an innocent person can not be completely eliminated. If the death penalty was replaced with a sentence of Life Without the Possibility of Parole*, which costs millions less and also ensures that the public is protected while eliminating the risk of an irreversible mistake, the money saved could be spent on programs that actually improve the communities in which we live. Is this calculation accurate? Or does life-long imprisonment include almost all same costs? e.g. appeals, careful investigations, higher costs to house, etc. The cost of prosecuting death penalty cases makes them difficult for governments, said Andrea Lyon, an Illinois death penalty defense lawyer. She noted that one reason Illinois abolished capital punishment two years ago was because it cost the state so much to prosecute. “The cost to try, convict and imprison someone for life is a quarter of what it costs to give them the death penalty,” she said. 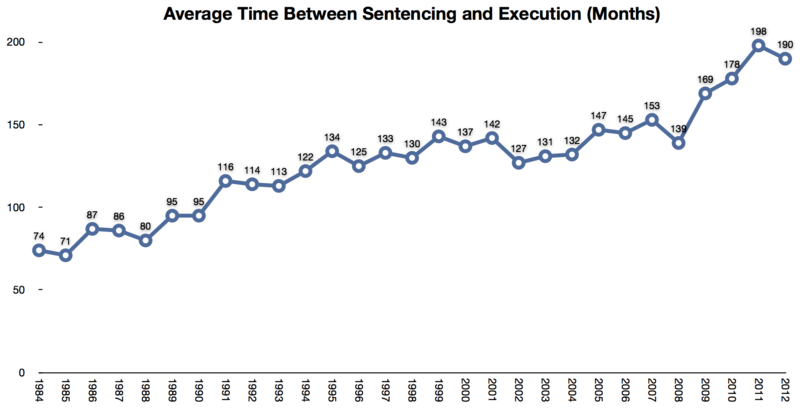 In North Carolina, Sen. Floyd McKissick, D-Durham, recently told the House Ways and Means Committee, "We might want to, at some point, revisit whether the death penalty ought to be imposed, or whether we ought to impose a life sentence without parole, because it's a strong, persuasive and convincing argument when you talk about the astronomical expense of capital cases." Since 1978 Tax payers have spent more than 4B dollars on capital punishment in California alone, or about 308M dollars for each of the 13 executions carried out since then. The Death Penalty Information Center also has a page with the costs of execution in different states, and while they are an organisation that apposes the death penalty they cite credible sources for their information. "The people of California sent a clear message that the death penalty should still be implemented for those who commit the most heinous and unthinkable crimes," said McGregor Scott, the former U.S. attorney for Sacramento who served as the opposition's co-chairman. All trials in China are fundamentally flawed – with courts routinely relying on evidence extracted through torture or other ill-treatment, and defendants frequently denied the right to choose their own lawyers. Many of those executed over the past years were foreign nationals, mostly migrant workers from developing countries in Africa and Asia. They are disproportionately affected by the secretive and summary nature of the criminal justice process. The accused were often condemned to death after trials lasting just a few minutes. Is the US more tolerant of failure than other cultures?